According to the AAIDD, an intellectual disability is a disability characterized by significant limitations in both intellectual functioning and in adaptive behavior, which covers many everyday social and practical skills. This disability originates before the age of 18. So, if someone has an intellectual disability, what kind of life can they lead? What is to be expected of them? How will they function in society? 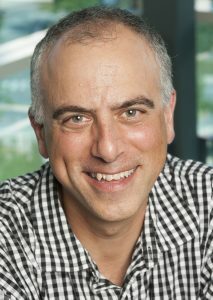 Award-winning filmmaker Dan Habib shows the rich and rewarding lives three such individuals are making for themselves. 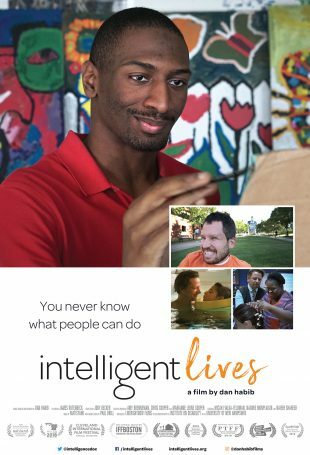 Intelligent Lives is a catalyst to transform the label of intellectual disability from a life sentence of isolation into a life of possibility for the most systematically segregated people in America. The film stars three pioneering young American adults with intellectual disabilities â€” Micah, Naieer, and Naomie â€” who challenge perceptions of intelligence as they navigate high school, college and the workforce. 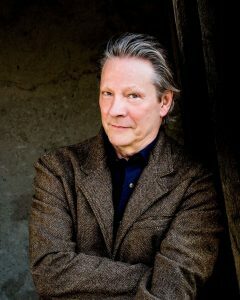 Academy Award-winning actor and narrator Chris Cooper contextualizes the lives of these central characters through the emotional personal story of his son Jesse, as the film unpacks the shameful and ongoing track record of intelligence testing in the U.S. Intelligent Lives challenges what it means to be intelligent, and points to a future in which people of all abilities can fully participate in higher education, meaningful employment, and intimate relationships. I spoke exclusively with director Dan Habib about inclusive education, America’s history of forced sterilization of people with disabilities, hosting a screening for your community and more. TV GOODNESS: Youâ€™ve made a number of award-winning films on disability related topics. What made you want to tackle this topic right now? Dan Habib: “All my work stems from my experiences with my son, Samuel. My son is in college right now; he just graduated from high school. He also has cerebral palsy, uses a wheelchair, has a seizure disorder â€“ so heâ€™s a very complicated kid. And even though he graduated from school and is going to college, because he uses a wheelchair heâ€™s often talked to like heâ€™s a 5 year-old or seen as unintelligent. Five or six years ago I started talking with a lot of people in the field and Iâ€™d already done two feature-length documentaries on disability related topics and people said the biggest obstacle to people with disabilities is perceptions of intelligence. This narrow perception we have in our society that intelligence can be measured. If you ask somebody on the street how do we measure intelligence, probably nine out of 10 people would say, â€˜Oh, the IQ test.â€™ So my first challenge was to say there are broader ways to see intelligence. TV GOODNESS: I think a lot of people donâ€™t know all the history behind IQ testing and the horrible ways it was used to keep people back and harm them, so itâ€™s good thatâ€™s in this film. Habib: “If you think about a movement like Black Lives Matter, that movement doesnâ€™t make sense unless you know our country has a history of racism and slavery and segregation by race. If you think about the #MeToo Movement or marriage equality, you wouldnâ€™t understand that if you didnâ€™t know we have a very patriarchal country and thereâ€™s been a lot of sexual abuse and harassment of women and gays, of course, were also segregated and excluded. TV GOODNESS: I think itâ€™s easy to forget this horrible history if itâ€™s not immediate, so I also appreciate that youâ€™re reintroducing this to people so, hopefully, we can do better in the future. Habib: “Yeah and unfortunately, itâ€™s still very much in the present day as well. 49 out of 50 states still use IQ testing to assess students and often that decides where theyâ€™re gonna be in school or where theyâ€™re not gonna be in school. TV GOODNESS: Tell me a little bit about how you found Micah, Naieer and Naomie. I thought they were great. Iâ€™d like to hear more about what you were looking for and how you found them. Habib: “In part now because my own son is 18 and has transitioned into adulthood, I was really interested in the age range of young adults with disabilities transitioning to employment through high school or through college, so I knew I wanted to show 3 stories: 1 at a high school level, 1 at the college level and 1 at employment. Those are also 3 tremendously important arenas in our society that if youâ€™re excluded from, youâ€™re missing out on a lot. I knew Micah first. I go to Syracuse a fair amount to present my films. Theyâ€™ve invited me there and Micahâ€™s somebody I met. Heâ€™s this really wonderfully outgoing young man with great social skills, very active on social media. 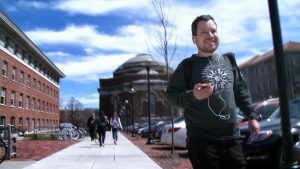 Heâ€™s got a great circle of friends; he takes university classes at Syracuse. He co-teaches classes at Syracuse. He was given an IQ of 40 when he was a kid, which is considered profoundly intellectually disabled. Heâ€™s a paradigm shifter. Then I wanted to find someone at the high school level. I knew of a high school in Boston called the Henderson School. Itâ€™s a public high school in Dorchester. [It’s] a very socioeconomincally and ethnically diverse neighborhood, but theyâ€™re a totally inclusive school of kids with all abilities. I meet Naieer there. Naieer is a young man with autism, African-American. He has some trouble speaking; he has some challenging behaviors. Heâ€™s a beautiful painter, a really wonderfully warm person, but he can be easily perceived as incapable of being in school because of his language issues. Even as his dad says heâ€™s concerned about how heâ€™ll be perceived by police or by the general public — a tall, black man in society with unpredictable behaviors. So he became a very interesting and complex story for me to tell. Finally, I wanted to tell the employment story with someone that was transitioning from whatâ€™s called a sheltered workshop, which is basically a forced work setting just for people with disabilities, getting paid very little money. Somebody transitioning from that into the paid, integrated employment; a regular job. And I found Naomie Monplaisir in Rhode Island, who was going through that transition and then that became my subject matter. TV GOODNESS: It was nice to see all of their stories including Chris Cooperâ€™s. For people who are going to see this film, what do you want them to get out of it? TV GOODNESS: Iâ€™m glad you mentioned what people can do after they see the film because I feel like thereâ€™s so many truly moving, emotional documentaries where it poses a problem and people want to do something, but they donâ€™t know what. Habib: “With all my documentaries, weâ€™ve planned social action campaigns or impact campaigns for two years before the filmâ€™s release. I work with a great outreach coordinator, Lisa Smithline, whoâ€™s out in LA. We have a whole team. So people who go to our website, IntelligentLives.org, thereâ€™s a Take Action page that weâ€™re constantly building out. TV GOODNESS: Is there anything you want to talk about that I havenâ€™t asked you about? Habib: “We have a really exciting, new partnership for this film with a company called Gather. Gather, if youâ€™ve heard of it, they do something called theatrical on demand screenings all over the country. So people can actually host screenings in their own community for no charge. All they need to do, on our website, is go to the Host Screening link and they can have it in their local AMC, or Loews or independent theater. Edited for space and content. Intelligent Lives opens in New York today. Click here for a screening schedule and/or to host a screening in your community.